My mom died almost seven years ago. My dad died almost three months ago. Mom died with cancer three years after her diagnosis. She relapsed just months after her initial treatment ended. Not considered curable, she lived a little over two more years on various treatments. She was 70 years old when she died. Dad was 80 and in fairly good health. He drove himself to the local emergency room, was flown to the big-city hospital and put on a ventilator, almost dying overnight with pneumonia and sepsis. Mom died with hospice care at home after a little over two weeks. Dad died after a little over a week in an intensive care unit after the ventilator was stopped to allow him to go peacefully. Mom agreed to hospice and we had laughter, tears and meaningful conversations. Dad never said another word to us and we relied on past conversations to make decisions about his care. We saw Mom's death coming for at least two years, more for some of us. Being 80, we knew the day would come for Dad, but we didn't see it coming when and how it did. Mom's death left us with Dad. Dad's death left us with an empty house. Both left us heartbroken with a lifetime of love and memories. No two deaths are the same and no death is the same for different people, even when those people are in the same family. Part of the reason no deaths are the same is that we don't stay the same. We grow and change, influenced by the passing of time and even more by the events that occur in that passing. Even as we adapt and grow, past losses are with us, woven into the fabric of our lives. How many times do we attend a funeral and think of funerals past and then think of funerals to come? Deaths differ for a whole variety of reasons. For who the person was in our lives and the quality of the relationship. For how long and how well we knew them. For the nature of their dying, how much it was expected and how much it was seen as preventable or not preventable. Were we present, did we have decisions to make, and if so, how confident did and do we feel about those choices? Was there "unfinished business"—fences needing mending, words left unsaid, important wishes not fulfilled? Many facets come together to make a wholly unique and peculiar experience. Time passing makes a difference, but it's not as is sometimes said, "Time heals all wounds." This is one of those statements that contains a partial truth which tempts us to accept it in whole. Not all wounds heal, and those that do heal to varying degrees. Time is part of the healing but is only one factor of many. When we are seriously wounded in a physical way, it takes time for healing to take place, and the healing is greatly dependent upon what we do with that time. Do we take the proper medications? Do we get sufficient nourishment and rest? Do we commit ourselves to the work of rehabilitation, even when it hurts, when it's hard and when we're tempted to stop and give up? Even if we do all the healthy healing things, time will be required to allow the work of healing. We get to control some things, we have some choices, but we do not control time—it passes as it will on a schedule not our own. The grief from Mom's death is different from the grief from Dad's death, and a large part of this difference is time. 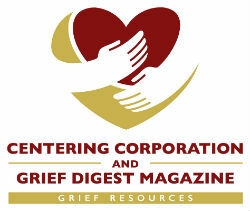 I've lived with Mom's grief for nearly seven years and had a headstart of sorts as I anticipated and prepared for her death for several years before that. It is still very sad, but it is a softer sadness. Its rough edges have rounded somewhat and it is not as painful to carry. I have come to know it better, and in that sense, it is more familiar and even comfortable in a strange way. Like a melancholy friend you value because of the stories and history you share. Dad's grief is still sharp-edged and awkward. It more often catches me unawares. We are still negotiating many of the fundamentals of what will be a life-long (for me) relationship. I'd rather not, really, but I have no choice in the matter. Dad grief is more work and tiring than Mom grief, although Mom grief was exhausting in the beginning. They are different for many reasons, and one of those reasons is time. A blessing in both Mom grief and Dad grief was the opportunity to say good-bye and thank you. If this opportunity was missed or was missing, it is left for us to find these expressions in our lives and our relationships with the dead after the fact. It's important and worthy work, and in reality, even when we had the chance and took it, it's not work that is ever completed in one take. As Mother's Day and Father's Day comes around again, we all get more chances to sort through and express things which still need to be said. Sometimes we get to do it in person, other times in absentia. Whether in Mom grief, Dad grief, or any of the many other varieties, now or later, the conversations continue.